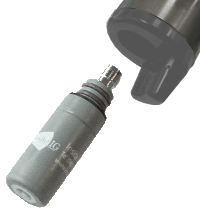 The Insite Instrumentation Group Model 28 (M-28) uses the Insite Model 51 pH (M-51) electrode. The Model 28 holder allows the user to mount pH sensors throughout the plant without having to deal with running conduit between the sensors and analyzer. This provides significant savings on installation costs while also allowing maximum flexibility in sensor placement. The electrode preamp, signal conditioner, and temperature compensation circuits are all built into the holder, making electrode replacement easy and inexpensive. No other pH system can compare with the features and benefits of this design. The M-28 sensor connects to a Sensor Transmitter (ST 2) junction box. 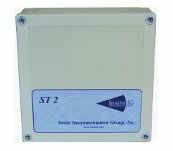 The ST 2 then communicates with the Process Transmitter (PT 2) via a ZigBee compliant Rf module. There is an embedded antenna which provides an outdoor line of sight range up to one mile. When several ST 2 / Sensor pairs are installed they form a self-healing mesh network that increases reliability. The M-28 Holder includes all of the electronics to communicate with our continuous analyzers and interface with the cartridge. The internal electronics feature a high quality isolated preamplifier with integrated A/D conversion to maximize noise immunity and extend useful cartridge life. 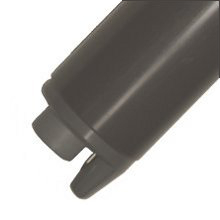 The M-28 Holder utilizes our standard mount, featuring a PVC 1-½" NPT male mounting thread. The Holder comes standard with tool free 1/4" O.D. tubing connectors for the integrated jet clean, and 33ft (10m) of sensor communications cable. Additional cable length is available upon request.